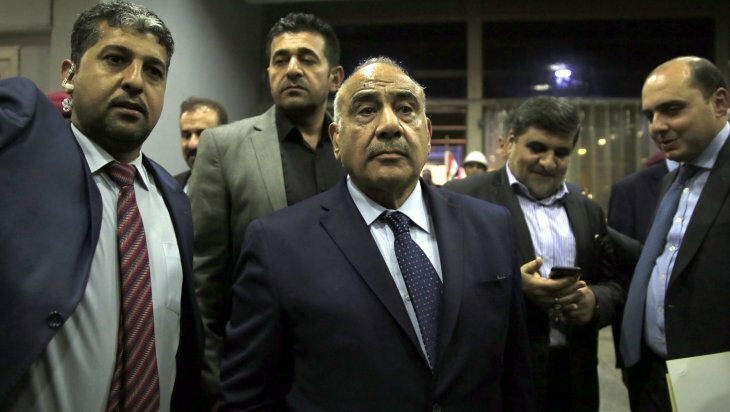 Iraq entered 2019 with a new government. However, some of the ministries within the cabinet have yet to be identified. After the parliamentary elections held following May 2018, Adil Abdul-Mahdi, who was designated as the prime minister candidate of the prominent political groups at the end of the major debates on the election results, presented his first cabinet to the parliament on 25 October 2018. Receiving approval for 14 of his 22-person cabinet list, Adil Abdul-Mahdi later received approval for 5 ministries out of 8 he presented to the parliament. Nevertheless, there is still no consensus on three critical ministries, namely the ministries of interior, defense, and justice. On the other hand, while Shayma Hayali, elected as the Minister of Education, is getting under more and more pressure to resign the post due to the allegations regarding her brother’s being an ISIS member, Minister of Electricity Luay al-Khatteeb and Minister of Communication Naem al-Rubaie are also under substantial pressure as the former is accused of conducting acts of sectarianism and dismissing Sunni workers, and the latter of being a member of the Baath party in the previous period. This situation complicates the responsibility of Prime Minister Adil Abdul-Mahdi, who is unable to complete the cabinet. For when Adil Abdul-Mahdi announced the government program, he divided his four-year term in office into three. Within the first 100 days of the short-term period, covering three to six months, he announced, the ministries would be provided with their own order and they would establish a functioning mechanism. However, the fact that the cabinet has not been completed yet shows that it would not be easy to comply with the government program described earlier. On the other hand, Muqtada al-Sadr, the winner of the elections and the founding power of the government, made a statement that they had agreed with Adil Abdul-Mahdi about making the reforms that people wanted within a year, otherwise, Adil Abdul-Mahdi would face the people. Indeed, the government has not been able to stand on its own two feet after three months since the establishment of the government, and the debate on the budget is challenging. The 2019 budget in Iraq has not yet been approved by the parliament. Concerning the 2019 budget which is estimated to be about 133 trillion Iraqi dinars (about $112 billion), there is a serious disagreement upon the calculation of the budget and the shares of provinces. Most of the Iraqi budget (89 percent) is calculated on the income to be obtained from the sale of oil exported from the country. Brent oil price per barrel is about $62-63. This figure was taken as 56 dollars in preparation of the Iraqi budget. However, Iraq is already known to export oil from $43. This seems to be a serious budget deficit for Iraq. As a matter of fact, there exists a $27.5 billion budget deficit, burdened on 2019 from the previous year. This figure is likely to increase when the imbalance over income from oil is taken into account. This could be one of the biggest obstacles in front of Adil Abdul-Mahdi, who should go into action fast. On the other hand, there is a serious disagreement about the shares allocated to the provinces. The share of the provinces that suffered the most from ISIS, such as Mosul, Anbar, and Saladin, is very low compared to other provinces. In fact, this is one of the biggest debates on the budget. Moreover, in the summer months, the share Basra, where major incidents took place and are not still over due to several reasons such as insufficient public services and unemployment, will get from the budget is also controversial. On the other hand, 14 percent of the budget allocated to the Iraqi Kurdistan Regional Government (KRG) brings about a problem between Erbil and Baghdad. Erbil insists on more than 17 percent. 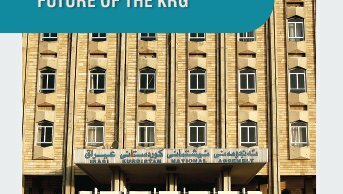 However, given the 12.68 percent share the KRG had from the 2018 budget, it is seen that the share of the KRG from the 2019 budget has been increased even though there has been no change in the conditions of the KRG. At this point, it can be said that Adil Abdul-Mahdi’s government would not want the emergence of a new crisis between Erbil and Baghdad as he is in a struggle with internal problems and therefore, he might have increased the share of the KRG in the budget. Nevertheless, it is seen that Erbil is trying to get more share from the budget by taking advantage of the difficult situation Abdul-Mahdi is in or to gain an advantage over the sale of Kirkuk oil. For while the peshmerga's return to Kirkuk is often brought to the agenda, it is known that Erbil is constantly sending a delegation to Baghdad and trying to reach a new agreement on the right of disposition about the Kirkuk oil, which is under the control of the government. However, the fact that the KRG has not been able to form the local government since the KRG parliamentary elections held on September 30, 2018, and that the disputes between the KDP and the PUK, which carry out the government negotiations, weaken the hand of Erbil. 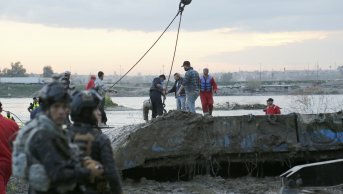 The crisis between the KDP and the PUK that emerged after the PUK withdrew from Kirkuk October 16, 2017, in cooperation with Baghdad as the Iraqi central government carried out operations in regions where the KRG had the de facto control beyond its constitutional borders, especially Kirkuk, seems to be deepening. What is more, this crisis is becoming more severe. As a matter of fact, both the KDP and PUK asayish forces have mutually arrested each other. In the KRG, everyone has begun to ask if an internal conflict would arise again. The KDP and the PUK established negotiation delegations to find a solution to the problem before letting it deepen further. This situation also slows down the government negotiations. While all these developments create a serious political crisis in the country, the fact that the US has decided to withdraw troops from Syria seems to be serious pressure on Iraq. For in a moment, US President Donald Trump, who announced his decision to withdraw American troops from Syria, visited the Ayn al-Assad Base in Iraq before Christmas and said in a statement that if “we want to do something in Syria, we can use the base in Iraq”. This statement opened up a discussion of the presence of foreign troops in Iraq. Particularly some groups such as Asa'ib Ahl al-Haq affiliated to Hashd al-Shaabi increased the pressure for the removal of foreign troops in the country, especially the US soldiers. Asa'ib Ahl al-Haq Spokesperson Jawad Talabawi stated that the presence of US troops in the country was a violation of the sovereignty of Iraq, and therefore the necessary legal arrangements should be made for the removal of US troops from the country. 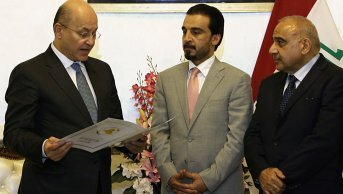 For about 100 deputies are said to be gathering signatures in the Iraqi parliament for the removal of the US from Iraq. 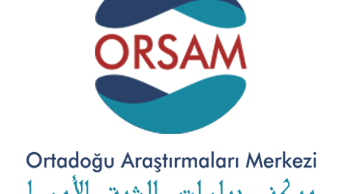 This situation can be seen as one of the most difficult developments in the Adil Abdul-Mahdi administration. Indeed, in the recent days, Adil Abdul-Mahdi had to explain the situation of foreign troops in Iraq at a regular weekly press conference and said that the number of foreign soldiers in Iraq decreased by 25 percent. Adil Abdul-Mahdi stated that in January 2018 there were about 11 thousand foreign soldiers in Iraq, and in December 2018, this figure fell to around 8 thousand, of which 6 thousand were US soldiers. However, the number expressed by Adil Abdul-Mahdi is understood to be based on the pre-withdrawal period of US President Donald Trump from Syria. As a matter of fact, it is already known that the US has deployed some of its troops in Syria into the bases in Iraq. In fact, the US does not have an official military base in Iraq. In official terms, the anti-ISIS coalition has five bases in Iraq. In four of them (al-Asad, Besmaya, Taji, Baghdad) the US military assumes the responsibility while the responsibility of the base in Arbil is in the hands of the British. However, there is also a US military unit in Baghdad and Basra Airports, and a coast guard unit in Umm Qasr. The US troops have also deployed in Spyker, Duhok, Sinjar military bases. It is known that a new military base is being built in Erbil near the new US Consulate General. After Trump’s decision to withdraw from Syria, the military bases in Kaywan (K1) and Bayji (K2) are being confirmed by Iraqi sources to have received US troops. This situation has brought Iraq to the brink of a new break. It is becoming highly likely that the US, which could achieve what it desired in Syria, may focus more on Iraq, the central country of the Middle East. This situation may also increase the pressure on Iran. 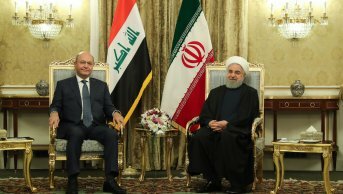 Iran, which has gained a significant power both in Iraq and in the Middle East in general through the Shiite militia groups in the post-ISIS period, has taken a more effective position than the US in the government formation process in Iraq. In this sense, Iraq appears to have become an operational base for Iran. The US faces the threat of losing its influence in Iraq where the United States has invested politically and militarily since 2003 and spent a lot in financial terms. For this reason, seeking to increase its military presence in Iraq and thus to produce political influence and explaining that it can conduct its anti-ISIS operations in Iraq, the United States is trying to legitimize its presence in Iraq under the pretext of fighting against terrorism. But this is already signaling that the US military presence will be used to contain Iran. For, although it has been denied, there were reports that the United States had given Adil Abdul-Mahdi a list of 67 Shiite militias to ban their activities. As a matter of fact, the existence of these groups both constitutes a big problem for the government in terms of state institutionalization and irregular armament, and shelters national and cross-border conflict dynamics. The conflict between the militia groups in Hashd al-Shaabi and the Counter-Terrorism Forces affiliated to the Iraqi Prime Ministry in which some lost their lives and got wounded displays the level of the risk. It is also noteworthy that this conflict took place between the Counter-Terrorism Forces, the special units trained by the United States, and the militia groups in Hashd al-Shaabi. On the other hand, after Trump announced that the US could carry out the operations against ISIS in Iraq, the fact that Hashd al-Shaabi had entered Syria from the Iraq-Syria border and conducted an operation against ISIS stands out as a big challenge. This challenge brings the risk of mutual conflict if the US continues to increase its military presence in Iraq. 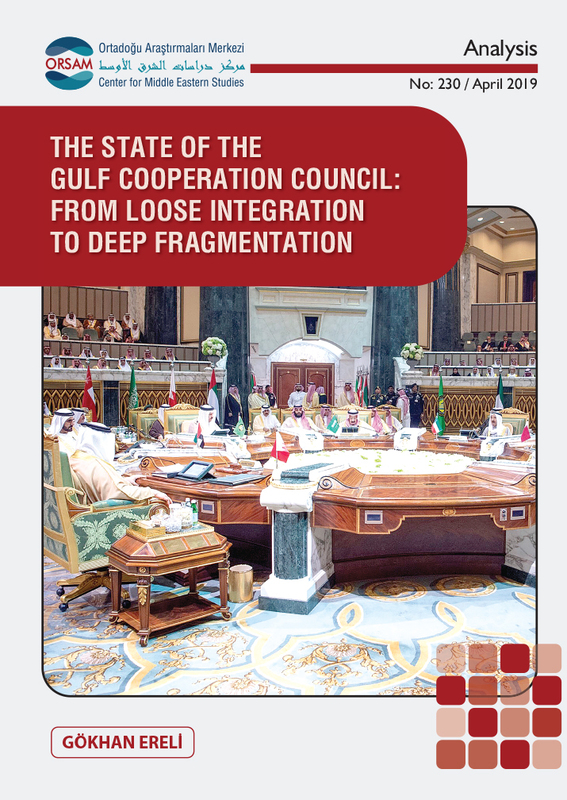 This risk can lead to the emergence of administrative, political and military power gaps in the context of instability in Iraqi domestic policy. While the atmosphere is full of the will to fight ISIS, this situation may drag Iraq into a new crisis, which may not be limited only to the fight against terrorism. Considering the developments in Iraqi domestic politics and the US-Iran conflict, it seems likely that the developments that may range from the re-emergence of terrorist groups to the clash of domestic armed groups, to the government crisis and the discussion over the country's regime may take place.